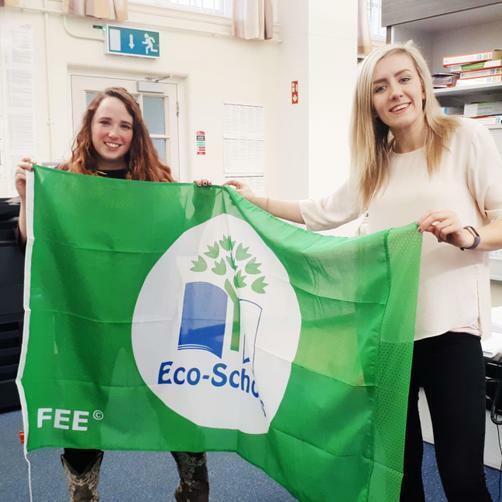 Elmgrove Eco Warriors are proud to announce that we have successfully renewed our green flag! We’ve worked hard as a committee to make environmental action and awareness an intrinsic part of the life and ethos of Elmgrove, led mainly by the ideas of the pupils within the committee. However, we could not have done this without your help, and so we want to extend our thanks and congratulations to you! The Green Flag Assessors were particularly in awe of the work we do surrounding Global Learning; from our emphasis on children’s rights, the various events surrounding refugees and school of sanctuary, and the way it is embedded in topics from Nursery right the way through to P7. The children involved in the tour this morning spoke with passion and knowledge about Eco activities and we are so proud of them and the hard work they have put in throughout the year! It was also clear from visiting with various classes around the school that a lot of work has been put in to make sure every pupil is aware of some of our environmental aims and targets.